One of the most acclaimed singer/songwriters in rock history, Mayfield’s career was cut in half by a tragic accident that derailed his performing considerably after which he turned more to songwriting for hire where he made an equal mark. Percy Mayfield was born in 1920 in Louisiana but was raised in Houston, Texas. Moving to Los Angeles in the mid-1940’s, Mayfield was already writing prolifically and secured recording contracts with small independent labels while at the same time hawking those same songs to others. 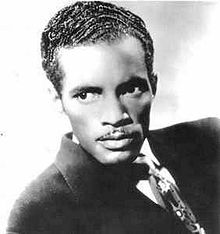 Upon signing to the larger independent Specialty Records in 1950, Mayfield’s career took off when his debut for the label, “Please Send Me Someone To Love” hit #1 on the charts, soon becoming something of a standard in rock as well as one of the genre’s first explicit message songs. Over the next few years Mayfield was a consistent seller with his brand of laconic ballads sung behind the beat boasting deep and introspective lyrics, often of a despondent nature, all of it with a jeweler’s eye for detailed wordplay, giving him seven Top Ten hits over two and a half years. Then in 1952 Mayfield was nearly killed in an automobile accident on the way back from a show in which he was pronounced dead on the scene. Though he survived he was left severely disfigured, his face caved in beyond the ability of any plastic surgery to fully restore his features. The proud singer bemoaned the loss of his looks and never regained the commercial success he’d enjoyed before, either due to the two year layoff while recovering, the lack of his ability to promote the music on the road now that he was no longer touring or simply because his highly intelligent personal lyrics fell out of favor with the changing market focusing ever more on more gaudy displays. 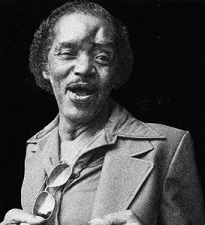 Despite some excellent material cut following his accident Mayfield didn’t find much to be happy about professionally until Ray Charles, who’d been a longtime admirer of his work, began asking him for material and Percy wrote some of Ray’s biggest early 60’s hits including “At The Club”, “Hide Nor Hair”, “But On The Other Hand, Baby” and “Hit The Road, Jack”. Charles then signed Mayfield to his own Tangerine label as an artist which got Percy back on the charts with a re-make of one of his early 50’s sides. After that, though charting just twice more, he never lacked for recording opportunity, as some of the biggest labels signed him for the prestige of working with someone so highly respected. Other major stars from Elvis Presley to Aretha Franklin recorded his songs and Mayfield became comfortable enough with his altered appearance (he was left with a deep gruesome scar across his once handsome face) to become an engaging live performer once again in small settings where his charm was intoxicating to all those who saw him. Mayfield died in 1984 of a heart attack just one day before what would’ve been his 64th birthday.